During one of my business trip to Alés in France, hub and I accidentally found this little gem tuck away in a little alley. To be truthful, if I were travelling alone, I wouldn’t have venture that far off the safely ‘marked’ streets from the map which hotel usually give out. But, since hub is with me, we decided to be adventurous and roam about this little town. This little place is known as Restaurant l’assiette Alésienne ran by a couple. The husband is the chef and wife serves. 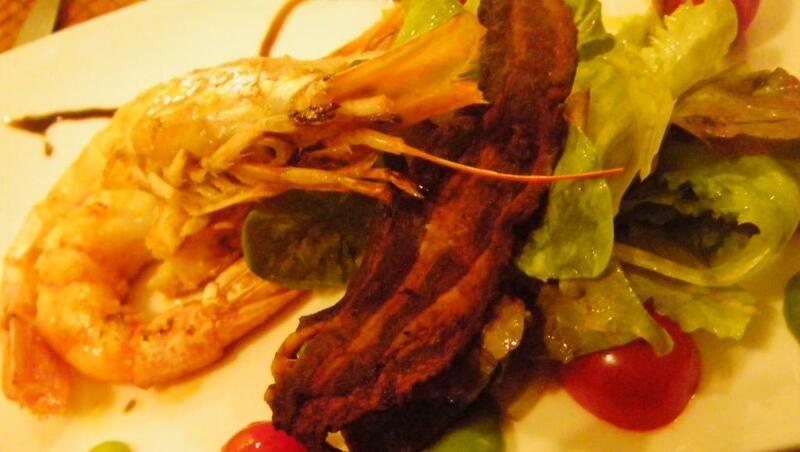 For starter, I had Prawn Salad with crispy bacon. Prawn was lightly salted and saute to perfection. It was so fresh that you can taste sea in it. And, my Main. I ordered the Marguerite de canard. The duck tenderloin was fried just nice. 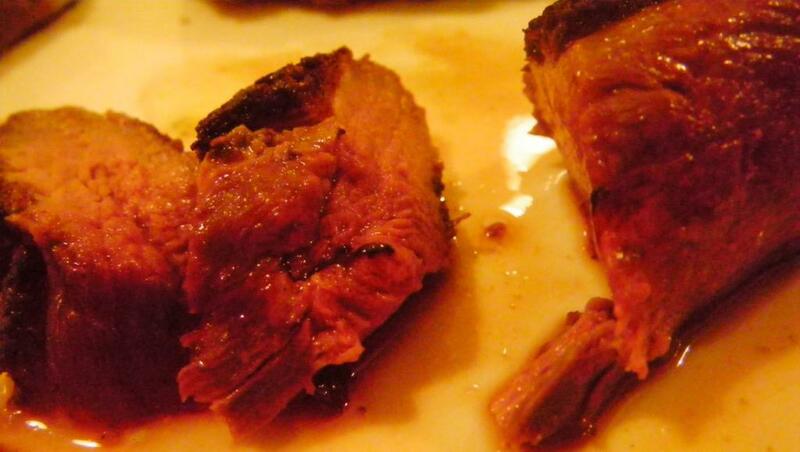 the skin was crispy while the meat is still pinkish. Juice oozing out when you slice open. To top it off, they serve it with fig sauce. The combo was just too amazing.